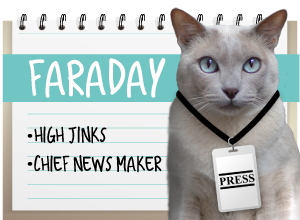 A Tonk's Tail... err, Tale...: BREAKING NEWS! Wowzers! 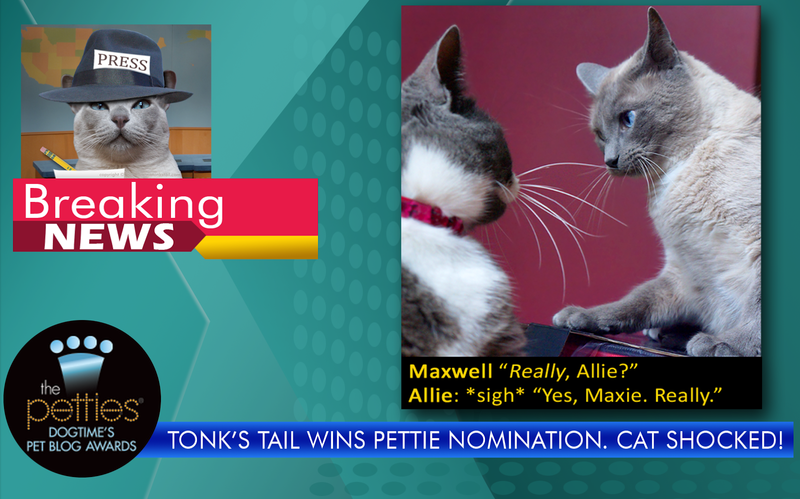 We just learned that A Tonk's Tail is a finalist in the Petties for Funniest Blog! This is all because of YOU, our readers and our friends.We cannot thank you enough! And now, your vote could help us win $1,000 for Great Plains SPCA. You've heard us talk lately about the Kitty Crisis: that over 700 cats are currently being housed at this great facility. $1,000 will buy a lot of kibble to help keep these kitties healthy and well-fed until they find forever families! A humungous concatulations to you! You always make us giggle! Breaking news for me too! I'm in TWO categories and couldn't be happier. 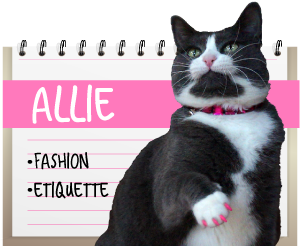 Although, a little sad to not see some pals I had been rooting for anymore =/ I'll be casting my vote for you kitties! Congratulations on the awesome news! We know it's cause of those bad *ss 9's! MOL! Oh yeah, that's one of our faves, too. Never turn your back on a nine, yanno. conga ratz two ewe guys on yur nominationz...N dood...ya look good in yur hat !! So glad to see you in the finals! 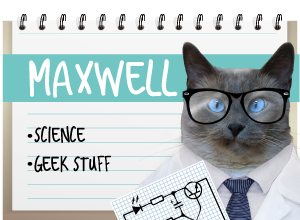 Congratulations, Allie, Maxwell and Faraday! Concats!! We are so happy for you and wish you the best of luck! Purrs from the Zee and Zoey Gang! Congratulations to all of you, and best of luck!